Thomas, a young country lad, is returning home with his father. To their horror, a group of sailors arrive in a small boat and Thomas is press-ganged into the navy to face Nelson’s onslaught. Understandably, his life is dramatically changed. 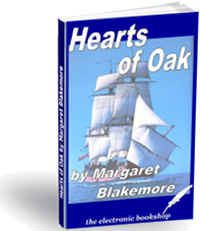 This incredible story, whose author is from a military family, depicts the life of a sailor and soldier in the Napoleonic wars. Thomas is brutally dragged from his quiet country life to face hardship and danger. To make matters worse, he falls in love with Lady Jane, wife of the Admiral, Lord Falsham, and his future becomes even more uncertain.